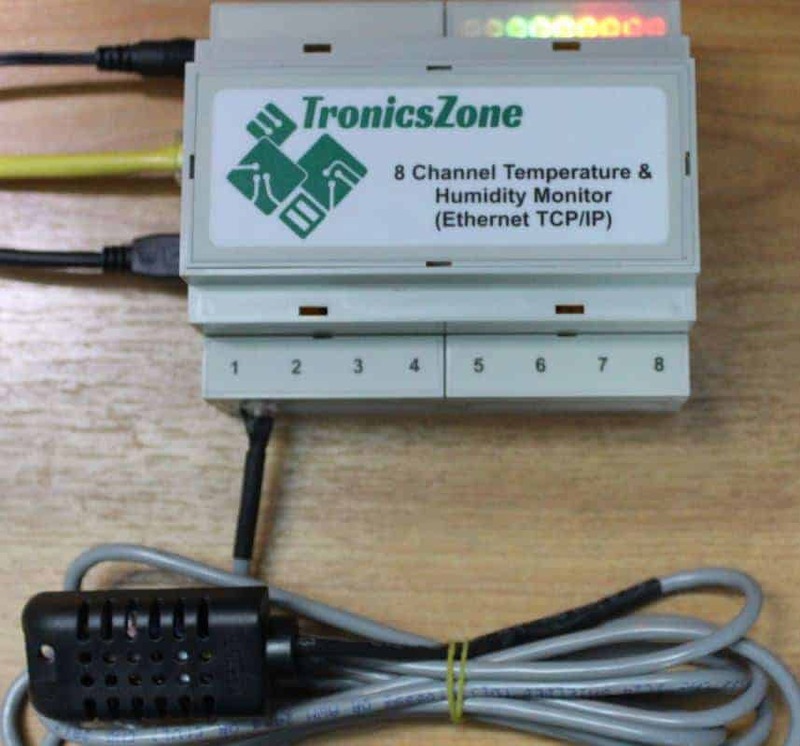 This IoT temperature humidity sensor can be used to monitor temperature & humidity from remote location over Internet or over local area network (LAN). Monitor & protect your equipment before failure occurs. Digital sensor with both temperature & humidity in single sensor. Sensor cable lengths of up to 100 ft.
Data reporting protocol: HTTP POST. Sampling/reporting rate: Configurable from 2 secs up to several days. USB for configuring the device. Power consumption of max. 1W (5V DC powered). Can be customized to suit specific customer requirements at nominal costs.Please email design@tronicszone.com for a quote.